Spring time starts the outdoor growing and grilling season and it is time to think about your sprinkler system. When we turn on your sprinkler system we perform a thorough inspection look at each zone to ensure your landscape will be properly covered. If your sprinkler irrigation system is not shut down properly any excess water in the pipes will freeze and may cause thee pipes to crack or break. This can even cause damage to your sprinkler heads and valves. 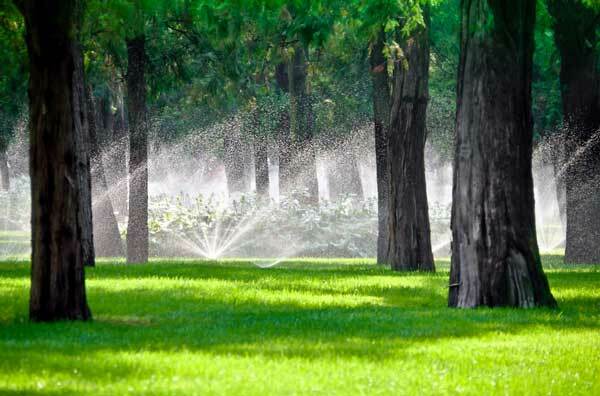 By winterizing your irrigation system, J & R Sprinkler eliminates many costly repairs come spring. All irrigation lines must be blown out by an air compressor prior to the first freeze. As we winterize your irrigation system we will also inspect for any repairs that will need to be performed the following spring. Irrigation pipes, valves, and the fittings surrounding each sprinkler connection may become damaged or destroyed by frozen water. J & R's sprinker blow out services uses a compressor to remove any leftover water that may be in the irrigation lines and blow them to a low point in the system. Typically, the first freeze in Colorado is towards the beginning of October but we recommend performing a system blow out by the end of September in case winter blows in early. Our industrial compressors ensure proper air pressure when blowing out the system; this is very important because if the pressure is too high the pipes may burst! Preventative maintenance can help you avoid potential headaches in the future with your landscape. By entrusting your landscape to J & R Sprinkler, you’re acquiring nearly 40 years of unsurpassed knowledge and experience. With our spring start-up and winterization and blow-out services, J & R Sprinkler ensures that your irrigation system is prepared and ready to handle the watering needs of the arid spring and summer and keep your irrigation system safe during the cold, damaging winter months.